Dental Tourism in Washington DC! Patients are increasingly researching and engaging in making better decisions about their health. With both local and global recognition, we have become a destination for many patients who want the experience and quality of care offered by Dr. H. Ryan Kazemi. Whether it is for dental implant therapy, extraction of wisdom teeth, corrective jaw surgery, or management of dental implant complications, we have the expertise and the right support team to help. With our online treatment collaboration and digital communication, we can also work with dentists in your own home town. We are bringing dental tourism right here to The Washington DC area. Telephone / online consultation to review treatment options that best meet your needs and answer all of your questions. Learn about your treatment options through an in-office personal consultation or an online consultation. Either way, you can discuss your needs with Dr. Kazemi personally and get recommendations on treatments that best meets your needs. Through a comprehensive evaluation, Dr. Kazemi will examine you, review your X-rays, and present treatment options. The consultation fee is $150 which may be credited toward any procedure should you proceed with treatments. A 30-minute online / telephone consultation, during which Dr. Kazemi will discuss your needs, evaluate any available X-rays or records, and then provide you guidance on best treatment approach and how to proceed. The online remote consultation fee is $150 which may be credited toward any procedure should you proceed with treatments. While most procedures can be completed in one day, we do recommend a one night stay following your surgery, particularly if you were sedated for surgery. A preliminary treatment plan and cost is provided based on your needs and existing records. If you have existing X-rays or other images, you may send it in advance for treatment plan, recommendations, and related fees. Click Here to Submit. A $500 scheduling deposit is required which is credited toward the total treatment cost. Upon arrival, we will completed any necessary X-ray diagnostics, review treatment, and complete related consent forms. The procedure is completed with local anesthesia, nitrous oxide, or IV sedation per your preference. Resorbable sutures are placed which do not require removal. If you have a restorative dentist, we can collaborate with him or her on your treatment. On your arrival, any required diagnostics including X-rays are completed and an implant guide is fabricated in our in-house laboratory. The implants are then placed. The impression components necessary for the final restorations are provided to your dentist. Dental implant removal may be indicated in patients with various complications. The procedure takes about 10-15 minutes and can be completed on day of your arrival. Prior to your scheduled appointment, you must see your dentist to remove existing crowns from the implant. We’ll provide precise instructions for preparation. Our office is conveniently located in Bethesda, MD, 5 minutes from Washington DC. We are easily accessible by planes, trains, or cars. 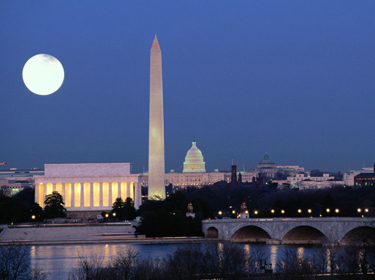 The Washington, DC (WDC) area has three airports for major commercial airlines: Dulles, Reagan National, and BWI. All airports are within 30 minutes from our office in Bethesda, MD. Amtrak serves Washington, DC. The major train station is Union Station, which is worth a visit when you’re in Washington. We are also served by commuter trains of Virginia Railway Express (VRE) in Virginia, and Maryland Rail Commuter (MARC). The Metro Red Line has a convenient stop at Union Station which is about 20 minutes from Bethesda Metro station. The Bethesda Metro Station is served by Washington, D.C. Metro Red Line and is located at the intersection of Wisconsin Ave and Old Georgetown Road. We are a couple of blocks from the Bethesda Metro Station. Vamoose Bus: (301 718-0036) Service to New York’s Penn Station. Pickup/dropoff near the Metro stations in Bethesda and Rosslyn. Tripper Bus: Service to New York’s Penn Station. Pickup/dropoff near the Metro stations in Bethesda and Rosslyn. Our office is within 30-minute driving from most locations in Northern Virginia, downtown Washington DC, Germantown / Gaithersburg, and Baltimore.